To schedule a consultation with Dr. Lensink or for more information, call 1-800-321-LIFT. Daniel B. Lensink, MD is the leading provider of the QuickLift® Face Lift procedure in the Redding, Eureka and Arcata, CA and Ashland and Grants Pass, OR areas. Dr. Lensink is a board-certified ophthalmologist whose practice focuses on facial plastic surgery, including the QuickLift face lift, cosmetic eyelid surgery and laser facial skin rejuvenation as well as medical and surgical treatment of pathology of the area around the eye including the eyelids, tear ducts, and orbit (eye socket). 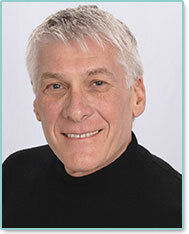 Dr. Lensink entered private practice in Fresno, CA in 1990. In early 2010, he expanded his practice to include satellite offices in Ashland, Oregon and Eureka, California. In 2012, a satellite office was added in Grants Pass, Oregon. He is the only ophthalmic plastic surgeon between Sacramento, California and Medford, Oregon. A small private boutique-like setting is Dr. Lensink’s preferred practice environment. He is personable and spends time with his patients to better understand their concerns, address their issues, and align expectations with what is possible. He maintains a small office with competent experienced staff. His staff are abundantly capable of helping you achieve the medical care you desire. “Never overdone” is a descriptive phrase ascribed to him by his marketing consultants, as he prefers a more conservative approach to plastic surgery. Dr. Lensink is board-certified by the American Board of Ophthalmology. He is a Fellow, American Academy of Cosmetic Surgery and a Fellow, American Academy of Ophthalmology. Dr. Lensink is also a member of the American Academy of Ophthalmology, American Medical Association and California Medical Association and California Association of Eye Physicians.